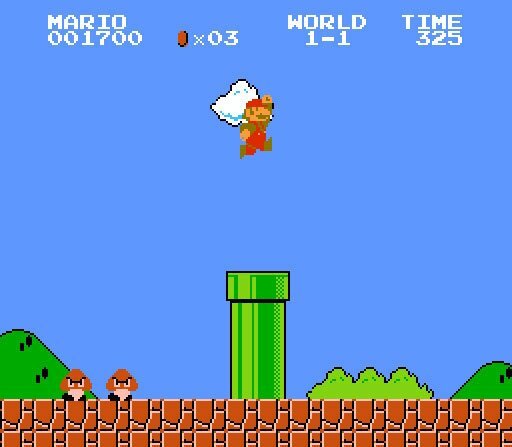 The themes of Super Mario Bros. are such a prominent part of our culture that they're easily celebrated, but perhaps not so easy to truly appreciate. The tracks - especially the original Overworld/Ground Theme - pop up in so many places and are so readily playable in our heads that we can treat them as simpler and less substantial constructs than they may actually be. Hence, when the 33 ⅓ series of books, exploring influential albums of our era, announced it would have an instalment on Koji Kondo's benchmark soundtrack, at least a few eyebrows were raised. How could a book possibly be filled with significant words on what comprises just a scant few minutes of "beepy bloops"? Well, it's all a matter of perspective, of course; when approaching the topic with equal bearings in game theory and music theory, there's actually quite a lot to be said. 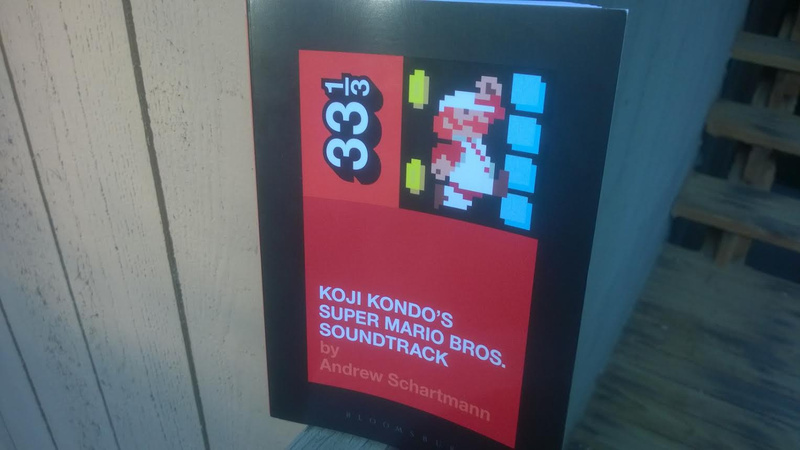 Andrew Schartmann, author of Koji Kondo's Super Mario Bros. Soundtrack, establishes himself as a proficient guide in both realms. Not only does he hold degrees in music from two universities, a reading shows that he knows what he's talking about when it comes to Mario as well. Heck, it's not even his first book diving into the subject area. The book is divided into two sections. The first discusses the historical and industrial contexts surrounding Kondo during the time of his composition. Schartmann chooses to begin with the infamous mass dumping of Atari E.T. cartridges to emphasize the turning point of the industry around this time, which some with their fingers more on the pulse of games news and history might feel is a tired note to begin on. However, given how this book is also targeted toward music aficionados who might not have heard the tale as often, it's an understandable inclusion and only lasts a few pages. The remaining context delves into some interesting points on how Nintendo viewed music composition as part of its game-making process, Kondo's own philosophy on what music should bring to games, and the configuration of the NES's audio capabilities. The last aspect is particularly fascinating, as it touches upon not just how creative composer/programmers had to be to get the most out of what they had, but also how game music composers in the East and West seemed to have differing approaches to this challenge. A whole other book could likely be written on this topic alone. The second half of the book really dives into the soundtrack itself, breaking down all the tracks to discuss the hows and whys of their effectiveness within the game. These studies even come with transcriptions of track snippets to sheet music, and it's almost hypnotizing seeing the complexity of some of these pieces on paper. The dazzle of deeper musical discussion may be a bit too much for some readers who are not versed in the subject, although that doesn't come through much fault of Schartmann, who takes the time to explain many terms and try to set things in more broadly understandable contexts. If notes are nothing more than dots and squiggles to you, you can probably expect to get lost at a few points in the latter half of the book. If you have a general understanding of music - say you were in band or chorus in school - then you should fare considerably better. Even if there are some spots you might have to glaze over, it feels completely worth it when concepts click and you realize something about these countlessly heard tracks that you never considered before. The writing leans more toward the academic side, with few jokes or tangents and a lot of notes and references, but the enthusiasm of the author shines clearly and compellingly throughout. Koji Kondo's Super Mario Bros. Soundtrack comes in at 120 pages, not counting the notes and preface, which appears well on par with other books in the 33 ⅓ series. It's a book that takes itself seriously, as it should, and soundly proves the case that video game composition is worthy of discussion among keepers of music as a craft. If you have an appreciation for game music, this is worth buying. Even if you don't get a few parts, they're only likely to make you admire the work and design that go into composing all the more. A review copy of this book was provided by Bloomsbury Publishing. Hmm, interesting. 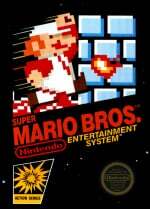 I might have to track this one down because I plan on releasing something special for Mario's 30th birthday. Got the Kindle edition on pre-order. Couldn't find the time to read it yet. Speaking of the Super Mario Brother's soundtrack, the under ground theme in the game is actually heavily based off of this old song in the 1900s... I don't remember what it was called, though. Seems to me that Mario already had his 30th birthday back in 2011.
excellent, 8bit music was a staple of my childhood and i still find it to be particularly and surprisingly evocative considering what they had to work with back then. some of those game tracks are truly epic masterpieces. @PigmaskFan Of course I meant the Super Mario series. Got a few books in this series. Currently reading Tago Mago by Alan Warner. They really are quite detailed and interesting. Fit in your pocket too. I'll get this one soon.